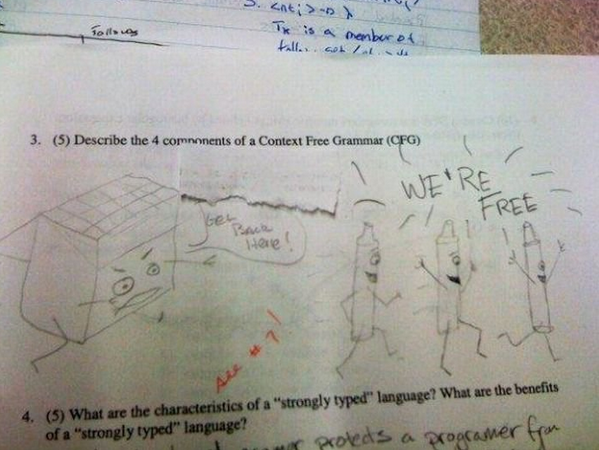 To err is human and some of the errors are surprisingly funny. Although almost every type of error has a relationship with friend’s laughter, sometimes it goes to the next step. 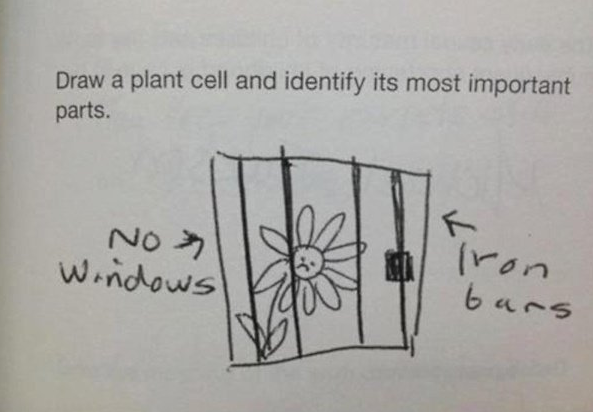 Sometimes kids with their purity and intelligence tries to surprise their tutors in the exam. 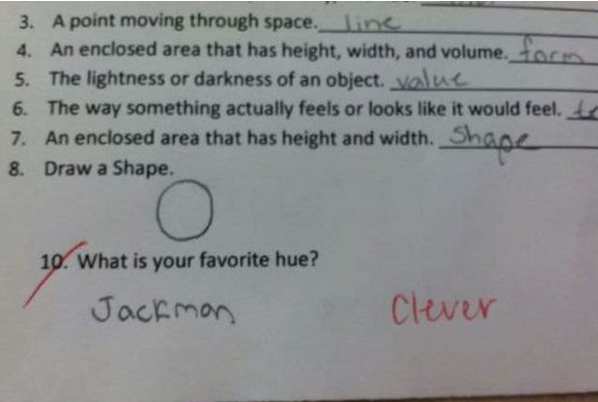 Whether the teachers get flattered by the clever answers is another matter. 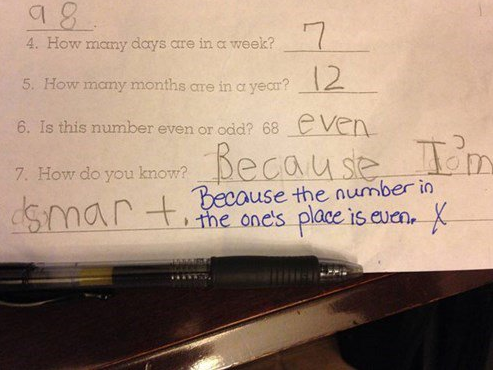 Here are exam papers of 16 kids who took the funny mistakes in exam to the next level. 1. What is your favorite hue? 2. 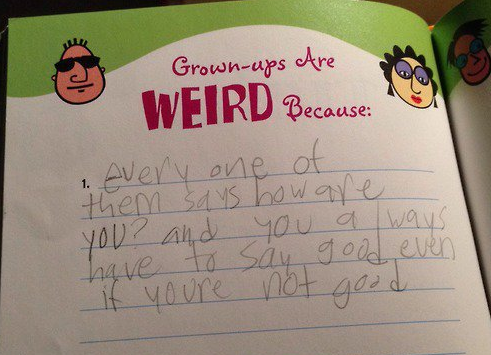 Grownups are weird because: Every one of them says how are you? And you always have to say good, even if you’re not good. 3. 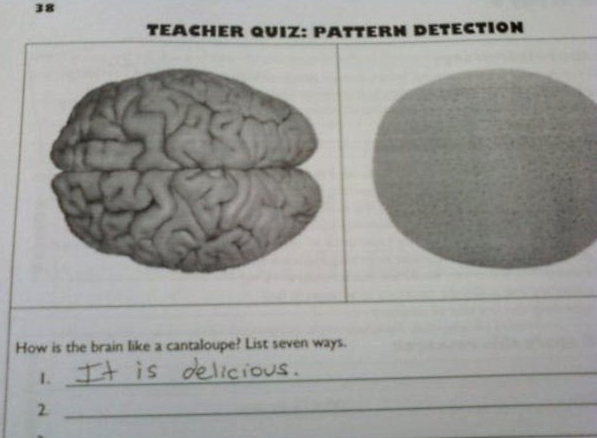 How is the brain like a cantaloupe? List seven ways. 4. 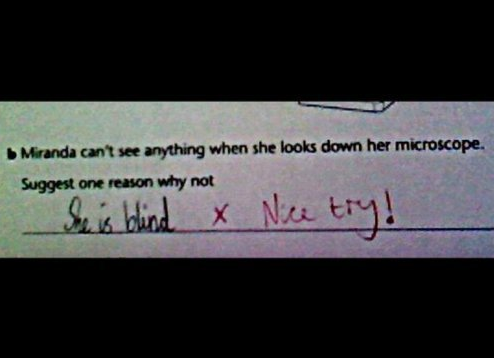 Miranda can’t see anything when she looks down her microscope. Suggest one reason why not. 6. 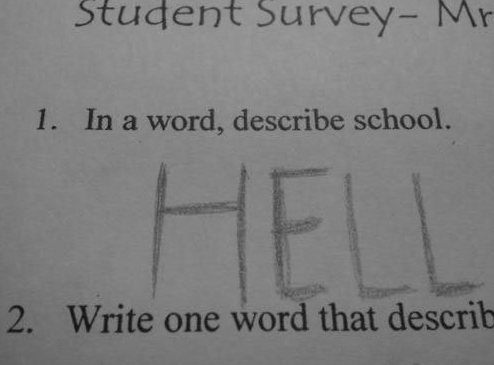 In a word, describe school. 7. Ms. 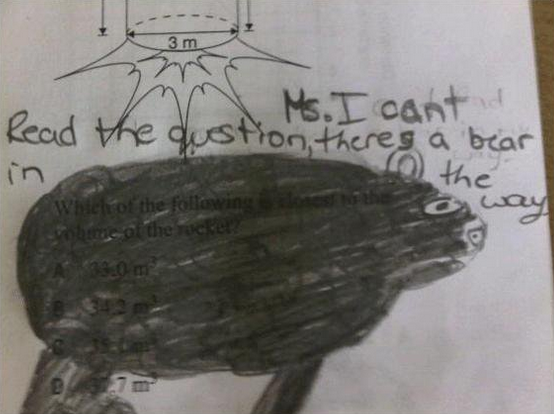 I can’t read the question, there is a bear on the way. 9. 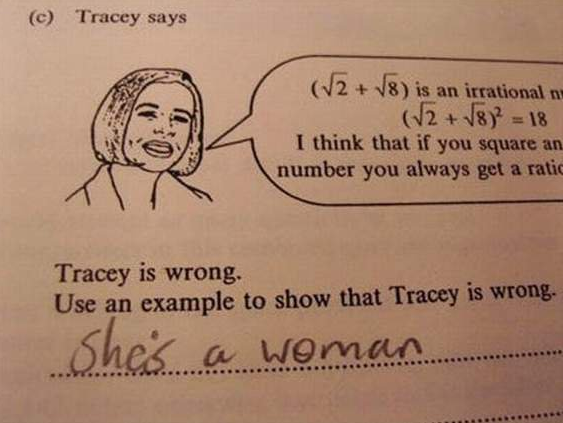 Use an example to show that Tracey is wrong. – She is a woman. 10. 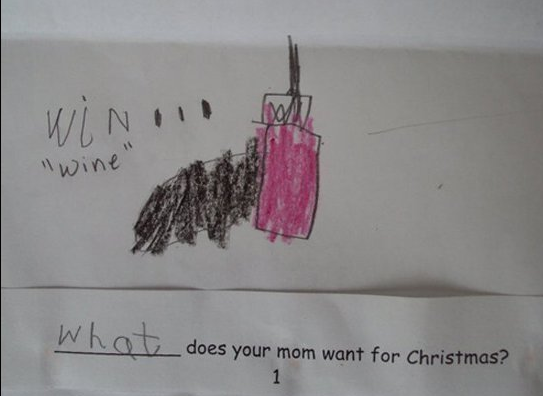 What does your mom want for Christmas? 11. Briefly explain what hard water is. 12. Why are there rings on Saturn? – Because God liked it, so he put a ring on it. 14. 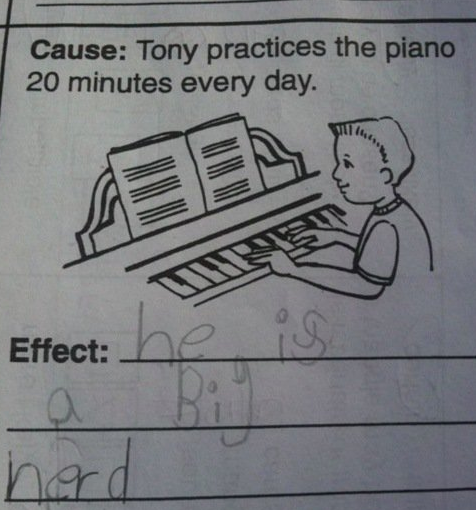 Cause: Tony practices the piano 20 minutes every day. – Effect: He is a big nerd. 15. How do you know? 16. I earn money at home by I don’t. 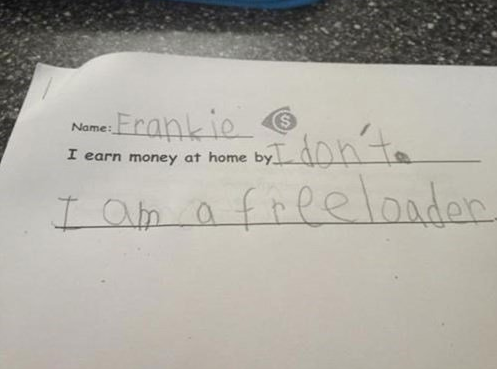 I am a freeloader. This post was inspired by collegehumor Thanks! 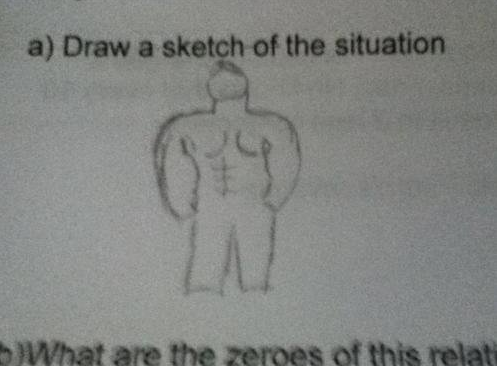 Exam paper’s funny mistake or text shortcut pranks are not that special like Selfie Fails. Funniest fails collected together on Epic Selfie Fail – It’s Funnier When It Fails!